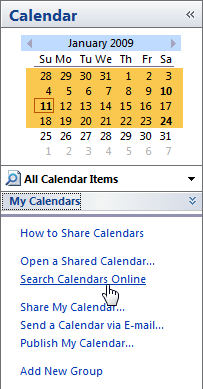 In previous articles we have shown you how to Share an Outlook Calendar and How to View Your Google Calendar in Outlook. These are great for sharing scheduling tasks with co-workers and colleagues which may not always be much fun. 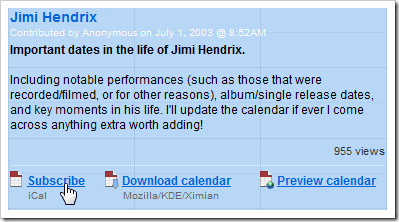 But today we will take a look at way to subscribe to more interesting and fun Web calendars. 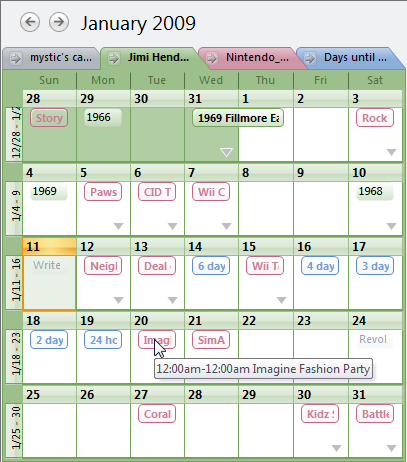 These calendars are for sports, movies, music, and other areas of interest. 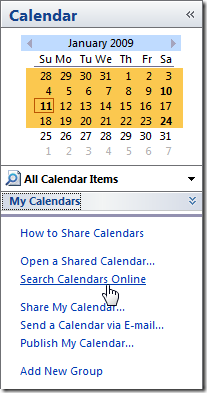 First open up the Calendar and in the navigation pane click on the Search Calendars Online link. 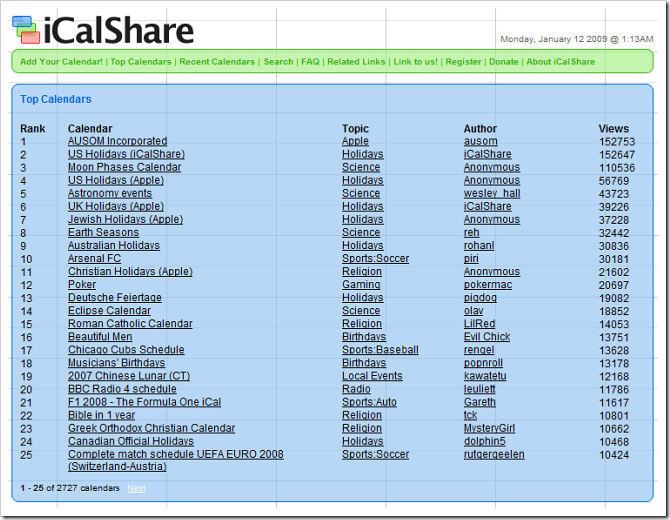 This will open up the Microsoft Office Outlook page where we can learn more about online calendars or just go to iCALShare.com and pick some cool fun calendars to follow. 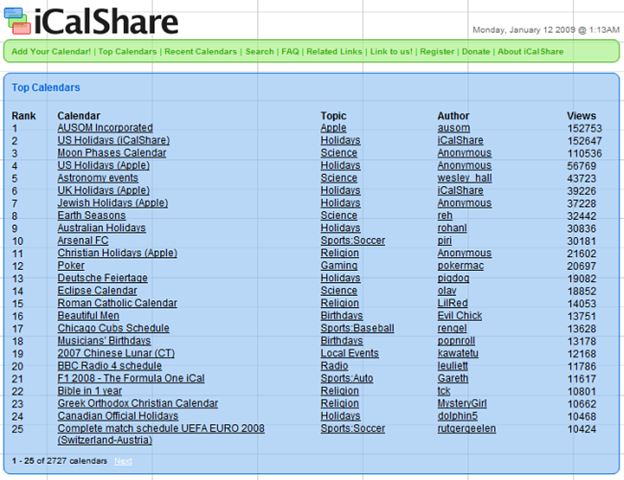 On the iCALShare site there is quite a few calendars covering many varying topics to subscribe to. If you don’t see what you’re interested in, you can submit your own. 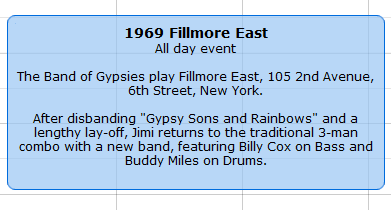 When you find a calendar you want to subscribe to just click on the Subscribe link. 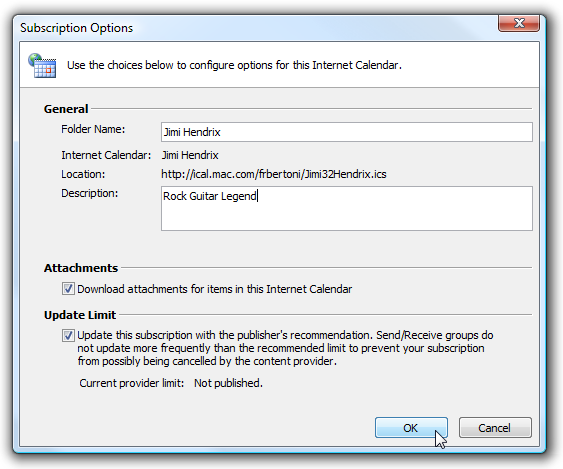 Another cool feature is you can preview the calendar before subscribing so you can be sure it has content you want. 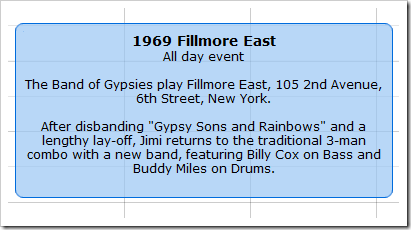 Here is a preview of a date on the Jimi Hendrix calendar. 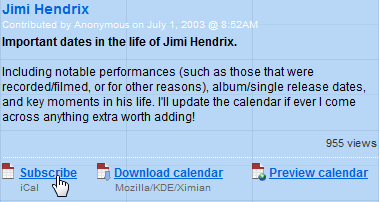 So once you the Subscribe link Outlook will ask you if you’re sure you want to add it to the Calendar. If you hit the Advanced button there are a few additional choices you can add. 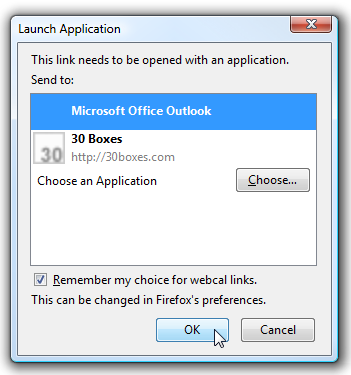 If you’re using Firefox then you will get the Launch Application box asking to choose an application where Outlook is selected by default. Place a check next to “Remember my choice..” and this will be the only time having to make the selection. Now you can add as many as you want and view them in Overlay Mode like in Google Calendar. Now you can appear to be busily scheduling appointments and meetings while having fun, and the boss will be none the wiser!